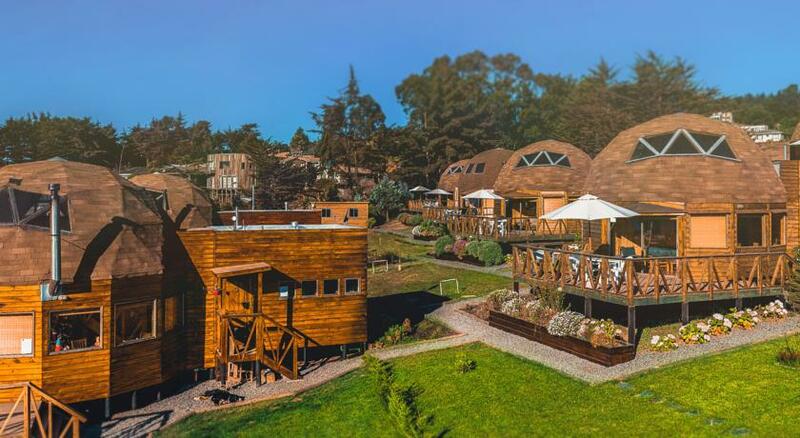 Magma lodge offers woodland accommodation just outside Pucón in the Lakes District of Chile. The domes are wooden structures, with tented roofs, and most have lovely views over Villiarica Lake and Volcano. 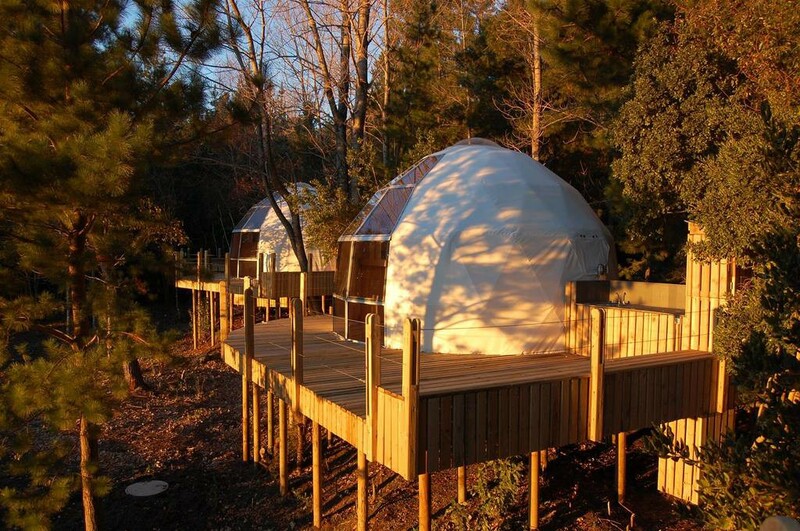 Each dome has its own patio and plenty of living space inside, and guests can explore the surrounding forest where there are adventure courses and even hot tubs! Pucón is the adventure sports capital of Chile, offering a whole host of activities from skiing and snowboarding in winter, to sailing, kayaking, climbing and hiking in summer. The volcano is the star attraction, but the town itself has so much to offer visitors and has a lively, young vibe. 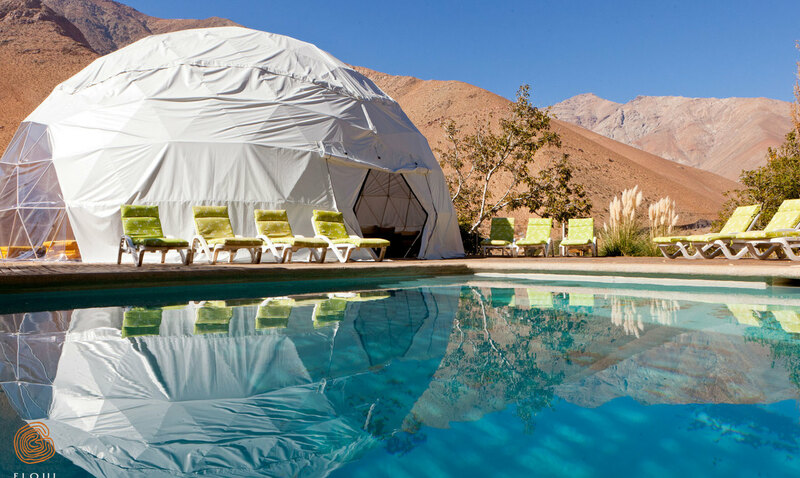 We’ve written about the Elqui Domos before, and they remain one of our favourite accommodation options in Chile. The region of La Serena and the Elqui Valley is famed for its fantastic stargazing, so the domos tents are built to allow you to enjoy the night sky from the comfort of your bed, by opening up the roof. The accommodation is well thought out and stylish, and there’s also a beautiful outdoor pool. The region is off the radar of most tourists, yet offers beautiful scenery and authentically Chilean villages serving great local cuisine. Off course, it’s the clear skies and lack of light pollution which draws people to the area, but the valley is also home to Pisco production, as well as many wineries. 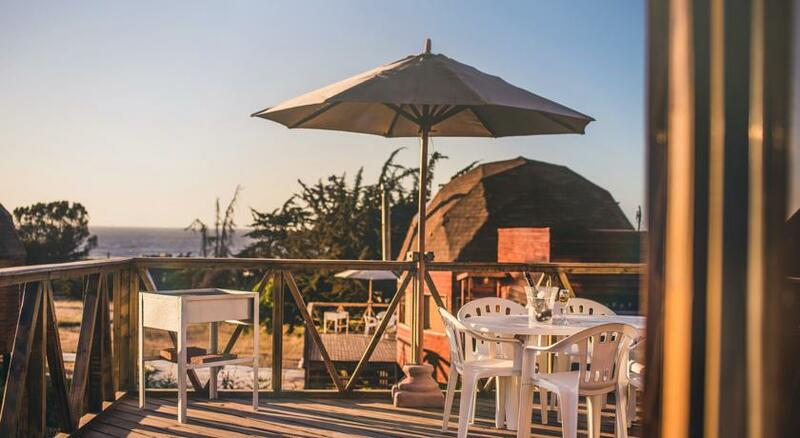 The domos at Pichilemu are a great choice for families, as they offer beach-front, self-catering accommodation. The domes are made almost entirely of wood, inside and out, and are decorated simply, so as not to detract from the beautiful views of the Pacific Ocean. Pichilemu is an off-the-beaten-track beach resort, about a 3 hour drive from the capital of Santiago, and close to the central wine regions. The town is a holiday destination for many Chileans, and also attracts backpackers and adrenaline junkies, as it offers the best surfing in the country. 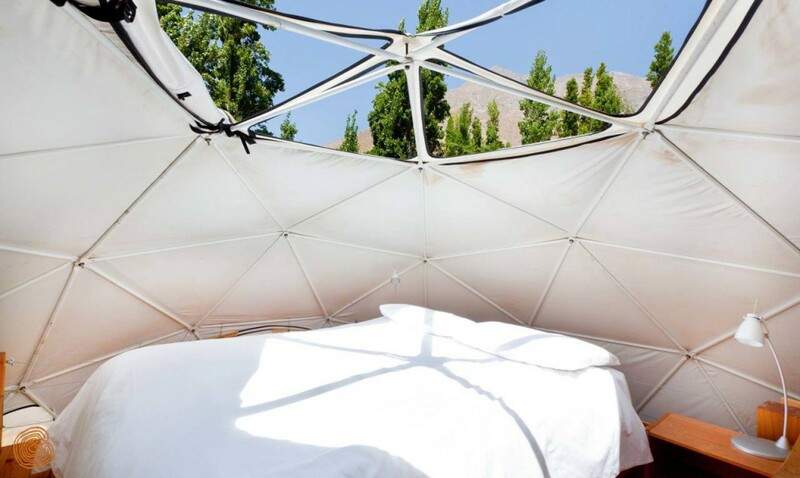 The EcoCamp in Torres del Paine National Park are another of our favourite dome hotels in Chile, as they offer sustainable accommodation inspired by the traditional geodesic dwellings. 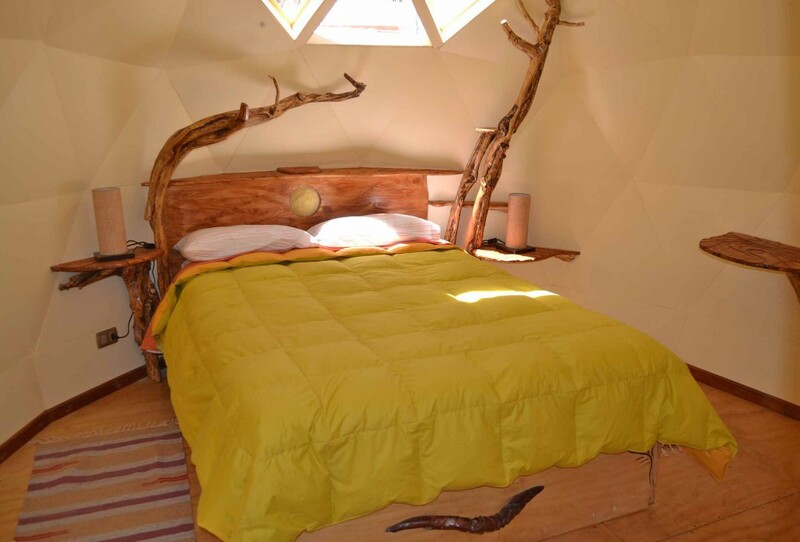 The domos tents are stylishly decorated with lots of wood and luxurious throws, and some have ensuite facilities as well. The camp serves meals in the communal tents, and also organises day trips and hikes. Torres del Paine is a National Park of unrivalled beauty, with some of the best scenery and hiking in the whole of South America. Due to its Southern location it’s best avoided in the winter months, when most of the treks and attractions will be closed. 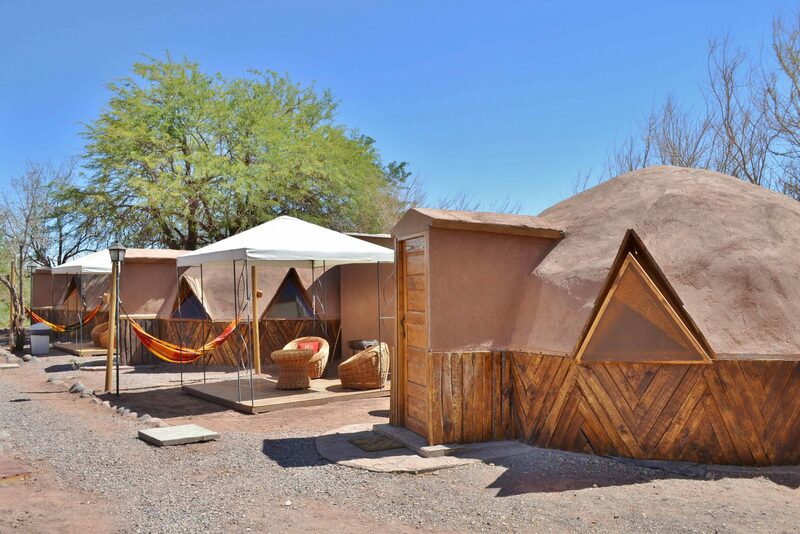 Los Abuelos is a good budget option domos hotel, located in the small town of San Pedro in the Atacama Desert. The accommodation is rustic but charming, and the domes are built from wood and clay, blending nicely into the surrounding landscape. 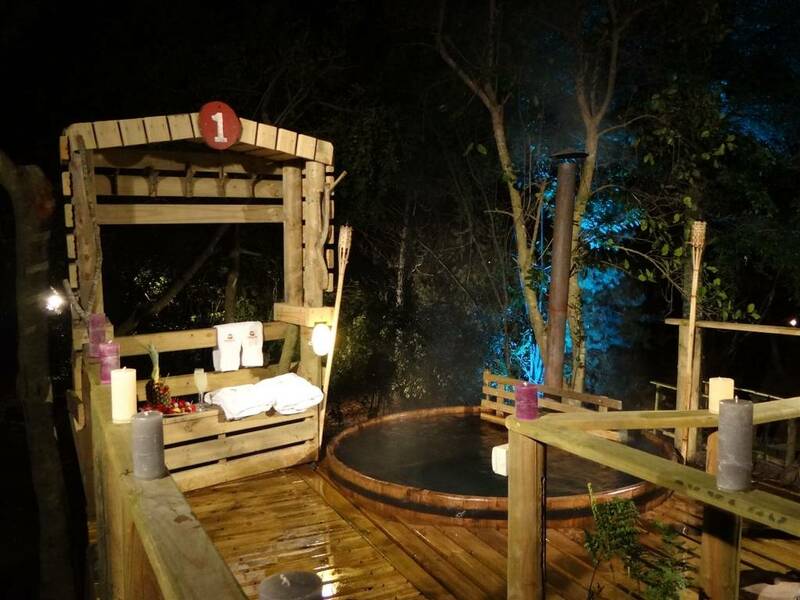 Each dome has its own little garden with hammock and BBQ facilities, as well as a private bathroom. The Atacama Desert is one of the most visited regions in Chile, and there’s a lot to see, which is why tourists usually spend at least 3 or 4 nights in San Pedro, using it as a base from which to explore. The town itself has very little to offer, so we always recommend choosing accommodation with great views, nice communal areas, and a restaurant, if possible. 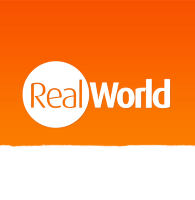 Chile has a great selection of accommodation options, whether you want a luxury spa resort by the sea or a wooden lodge in Patagonia. Hotels change constantly, so rather than getting bogged down with TripAdvisor reviews just ask us which ones we recommend!